The success of any organization lies in their workforce productivity. However, as the small business or being too large, sometime it gets too complex to toggle up with the employee absence. If you intensely work on it, you need a lot of manpower for the precise management. And this is where IS Global Web comes forward and gives you a personnel-like support to mechanize your leave management process and look up your workforce productivity. Apart from that, ISG’s leave management system could easily be managed and operated via mobile, laptop or personal computer anywhere and anytime. You can check the leave status of your Employees, Supervisors, or the HR/System Administrators on-the-go. 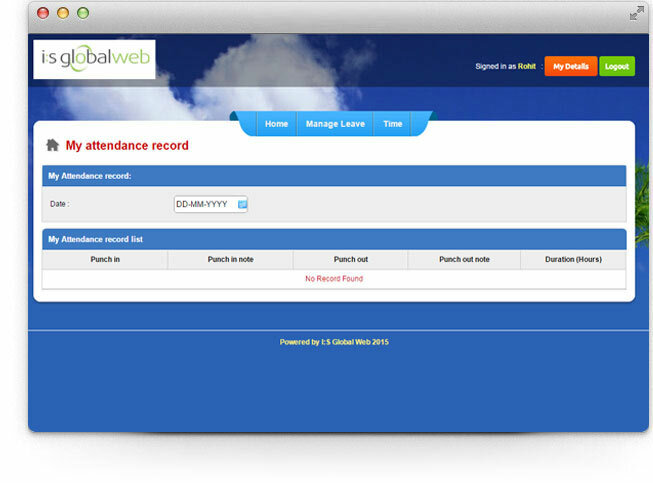 It just takes a few minutes in getting configured with our leave management system. Let’s connect with us now!